Don’t let the foot of pride come against me. Don’t let the hand of the wicked drive me away. There the workers of iniquity are fallen. 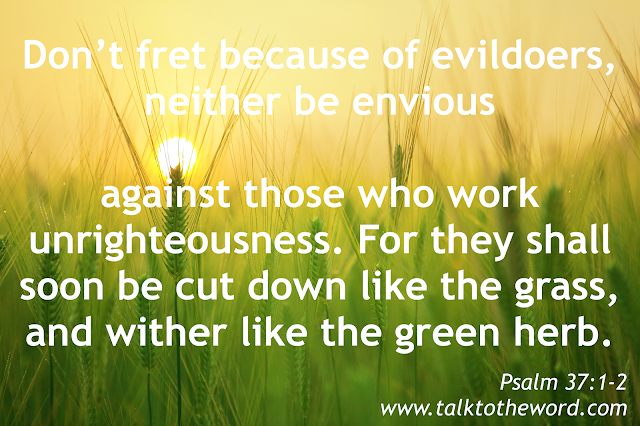 neither be envious against those who work unrighteousness. Trust in Yahweh, and do good. Dwell in the land, and enjoy safe pasture. Commit your way to Yahweh. Rest in Yahweh, and wait patiently for him. because of the man who makes wicked plots happen. 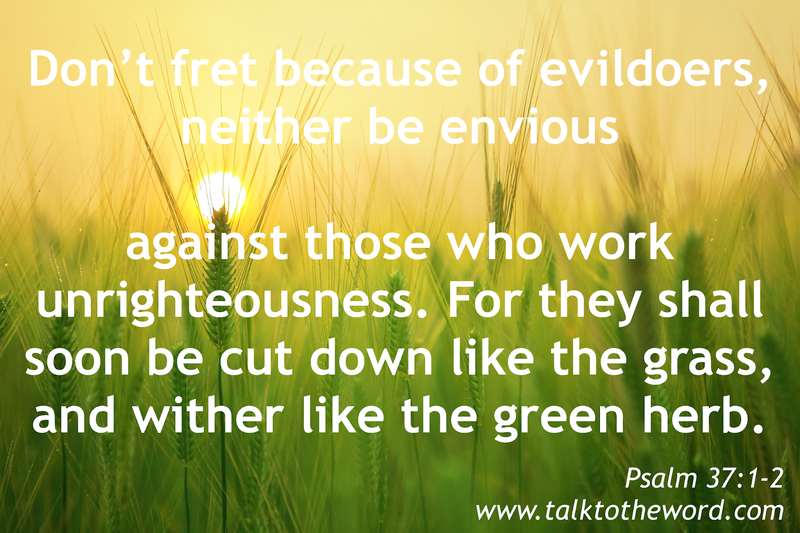 Cease from anger, and forsake wrath. Don’t fret, it leads only to evildoing. but those who wait for Yahweh shall inherit the land.